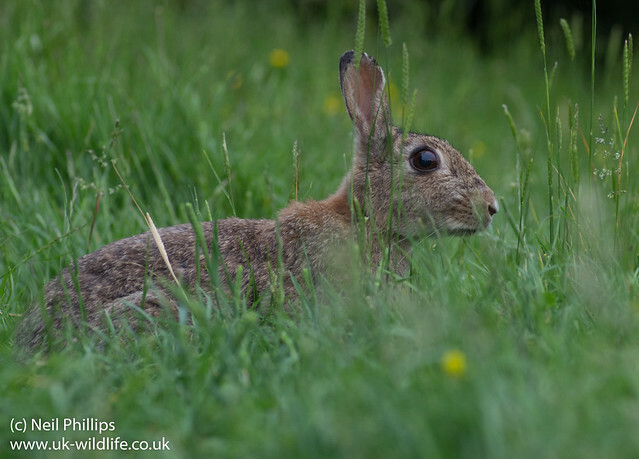 Just got in from lovely evening walk with a class of kids where we got within 3 metres of a wild rabbit! For once I had my camera with me and took these shots. Bare in mind these were taken with 30 kids (being remarkably calm and quiet!) right there next to me. In fact you can make out their silhouette reflected in the rabbits eye. I also got a brief clip of video. Look how relaxed the rabbit is. Earlier in the day I was at my (current) favourite dragonfly pond which was a hive of activity. In fact there were so many broad bodied chasers and 4 spotted chasers flying round (with the odd hairy dragonfly) that they wouldn’t sit for more than a few seconds before being chased off or chasing off another dragonfly! 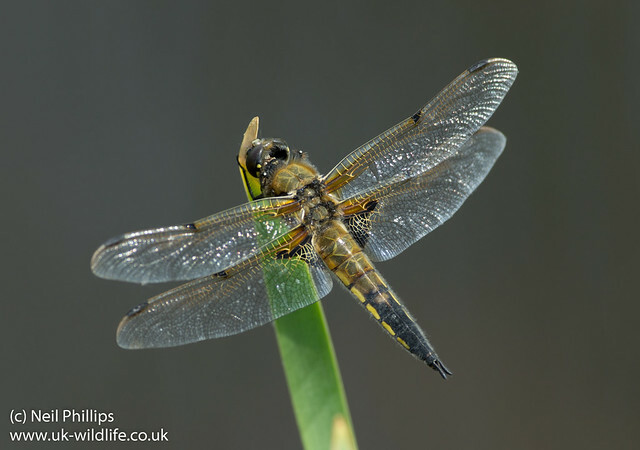 I did manage one OK shot of a four spotted chaser though.